By far THE most common of the 1807 Turban Heads, making an appearance in every auction, and in every dealer's showcase. There is a decent population of high grade MS coins out there, with perhaps even an MS66. 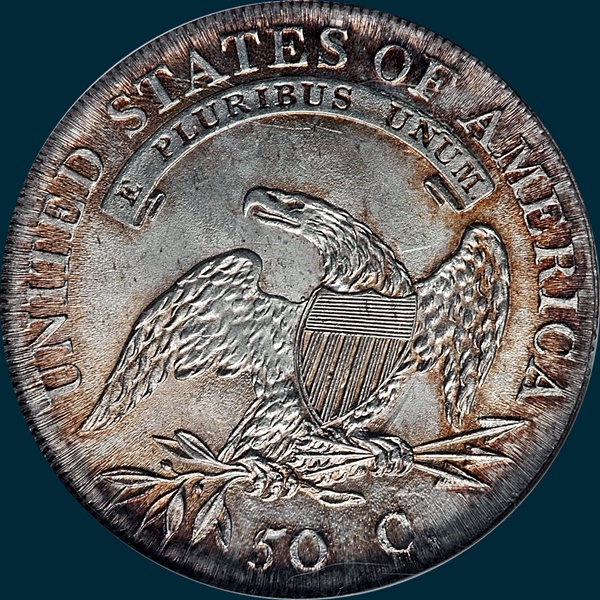 Finding a problem free example can be a little more difficult as demand has meant that many were cleaned as many were in collections through the days when nearly all coins were cleaned. That said, there seem to be so many survivors that there is still a population of problem free coins to choose from, so choose wisely. If someone has or comes across the 112a die state (cud top of U to olive leaf) please do not hesitate to get in touch!!! Variety Attribution: Obverse-Stars large, well formed and close to milling. Date is 8 1/4 mm. with a broad O that is large compared to other figures. In later states a die crack joins base of 80 and a rough lump develops under crossbar of 7 from chipping of the die. Star 1 points between segments. Reverse-50 over inverted 5. 50 C. is 2 3/4 mm. Arrow to A is 1mm. Center dot near junction of left wing and shield and a sharp die defect dot below the lowest arrowhead. Arrowheads are ribbed and show recutting. In this second use of H, the base of 5 fragment is very weak. O-112a: Cud top of U to Olive Leaf (may not exist). 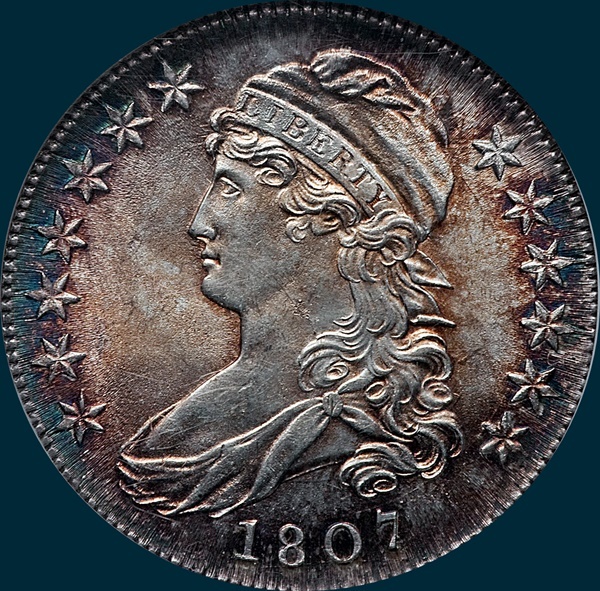 This was the 4th variety of Capped Bust Half Dollar minted in 1807 and overall.